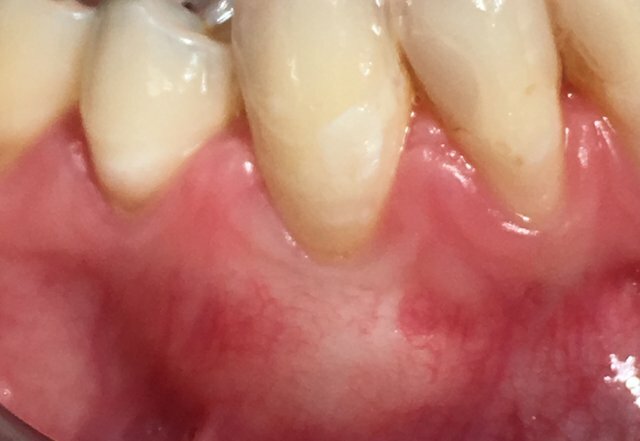 Receding gums, known in the dental community as gingival recession, is the term applied to the progressive loss of gum tissue from around the teeth. While this may not sound like a huge deal, it can be serious and can lead to tooth root exposure if left untreated. This in turn can result in sensitive teeth, decay in the roots, infections of the gums, and possible tooth loss. Gum recession is most commonly seen after the age of 40 but can happen anytime from the teenage years through all of adulthood. Gum recession is hard to catch in its early stages, but dental care experts know the warning signs and what to look for. Regular dental checkups will help to prevent gum recession and will make it easier to determine what care is needed for your unique situation. Treatment can stop or reverse the process of gum recession and regenerate lost tissue. The team of experts here at Loop Perio are ready to help make treating receding gums as simple and easy a process as possible for everyone. Sensitive teeth – as the gums pull away, more of the tooth is exposed which can cause teeth to become sensitive to temperature changes and certain foods such as sugars or acids. Visible roots – with a more severe case of gum recession, the roots of the teeth are often easily seen, and it is at this time that most people realize they have an issue with their gums. Longer-looking teeth – a side effect of recession of the gums is that more of the tooth is visible and this can make teeth look abnormally long or misshapen compared to the mouth. 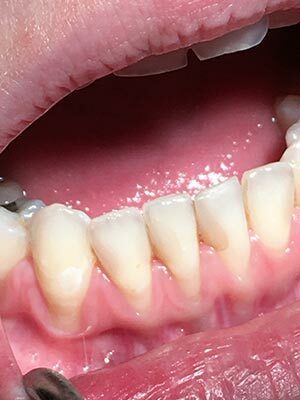 Tender and bleeding gums – advanced gum issues can lead to infections and a condition known as periodontal disease- the most common symptom is bleeding gums. The best way to go about treating receding gums is to avoid severe cases in the first place. Practicing good daily oral care and keeping all regular dental checkups can go a long way in protecting your teeth and your gums. Overaggressive brushing – the gums are delicate and made of soft tissue that can easily be damaged by brushing too vigorously or with a hard bristle toothbrush day in and day out. The back and forth and up and down motion of brushing, when applied with too much pressure or too stiff a brush, can tear the gums and push them away from the teeth. Poor oral hygiene – without good oral hygiene and good dental care each and every day, the teeth and gums will begin to suffer. When brushing and flossing are not done properly, bacteria and plaque can build up and affect the teeth and gums. The plaque allows toxins to deteriorate the tissue of the gums and bone, resulting in major problems. Chewing tobacco – any and all types of tobacco products can have a devastating effect on the body. The mouth is particularly susceptible due to the soft tissue of the gums and the prolonged exposure the mouth has with these products. Smoking and chewing tobacco both increase cases of periodontal disease, receding gums, and other serious dental issues. Periodontal disease – periodontal disease is an advanced infection which deteriorates the gum tissue as well as the bone in the jaw. As the infection spreads deeper and deeper, it will eventually result in major deformation of the mouth, teeth, and gums. Often major reconstructive surgery is needed to treat advanced cases. Of all the issues people deal with when it comes to their oral health, issues with the gums are often the most overlooked. 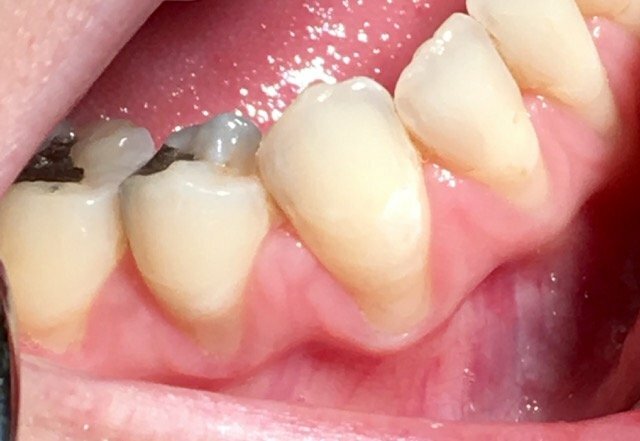 By the time people finally do get around to talking to their dental team about treating receding gums, they often need more involved treatments and procedures to address the damage that has been done. This is why we here at Loop Perio always encourage our patients to take care of their teeth day in and day out. It is so very important to keep all regular dental checkups and appointments with our team. It may seem like a small thing, but receding gums is no laughing matter. Ignoring the early warning signs can quickly leave you with painful gums and much more involved treatments! So be sure to get professional dental help sooner rather than later!